Versatile Liverpool-born actor David Morrissey has taken roles ranging from prime minister-to-be Gordon Brown in Stephen Frears’ “The Deal” to the Duke of Norfolk in “The Other Boleyn Girl” to the object/victim of Sharon Stone’s affections in “Basic Instinct 2.” But it’s policemen for which he seems to have a particular affinity, playing cops good, bad and guilt-ridden in multiple British television series and the “Red Riding” film trilogy. The character of Tom Thorne, whom he plays in a pair of three-part miniseries, “Thorne: Sleepyhead” June 12 and “Thorne: Scaredy Cat” June 13 (both Encore, starting at 9 pm), is something unique, a detective who often seems in danger of getting pulled into his cases. Investigating first a sadistic criminal whose aim is to leave his victims with locked-in syndrome (like Jean-Dominique Bauby, protagonist of “The Diving Bell and the Butterfly”) in “Sleepyhead,” and then a pair of serial killers that may be working in tandem in “Scaredy Cat,” Thorne gives himself over to his work in a way that’s almost as troubling as the crimes he’s trying to solve. Morrissey’s a great fit for the character — he shares the screen with talent that includes Eddie Marsan, Aidan Gillen, Natascha McElhone and Sandra Oh — and we’re not the only ones who thought so, as you’ll see below. 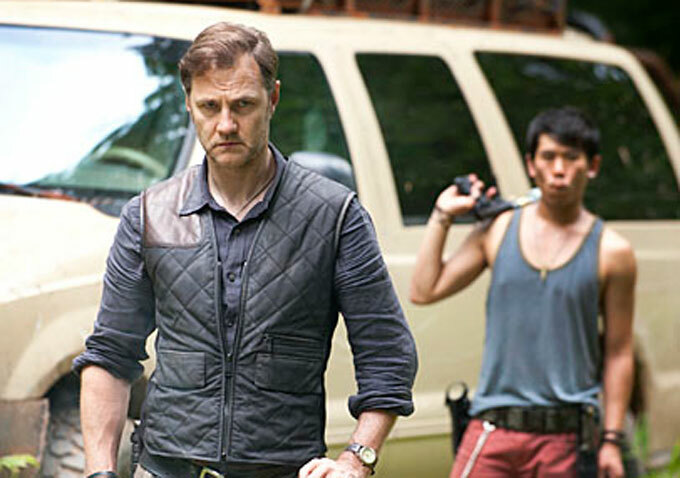 The actor’s also about to become a much more familiar face to U.S. TV audiences — it was announced in February that he’ll be taking on the role of the infamous Governor on the new season of “The Walking Dead,” a villain far more dangerous than the zombies the characters have to fend off. Indiewire caught up with Morrissey on the phone shortly before he headed off to start work on the AMC series. You aren’t just the star of the “Thorne” series, you also served as a producer. How did “Sleepyhead” and “Scaredy Cat” come together? I was doing a film in New Zealand called “The Water Horse,” which was rife with green screen. For an actor, that can mean you have a lot of time on your hands, so I raided the bookshops. One of the books I picked up was “Sleepyhead,” by Mark Billingham. I really enjoyed it. 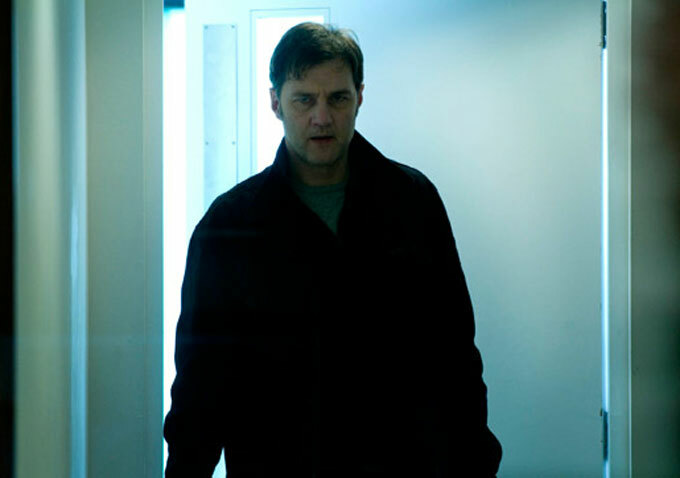 I Googled him and came across an interview he did, where he said, “If the books ever came to the screen, I couldn’t think of anybody better than David Morrissey to play the role of Tom Thorne.” I thought, oh, well, that’s fun. I got in touch with him, and when I got back to the U.K. I bought the rights to the novel. Sky came on board and they were very supportive, and we made the series. What was it about the character of Thorne that appealed to you? In that particular book, it was the idea of a man who was married to his job, who only comes alive when he’s working — he has no other life, really. And he recognizes that that isn’t a healthy situation, but he’s slightly stuck. This case comes along, this girl who was deliberately put into a comatose state by a killer who wants to freeze people. That’s a terrible crime for anybody, but for Thorne it has this resonance, it becomes a personal crusade for him. That connection with the victim was something I hadn’t really seen played out before. I love the fact that Thorne has this massive empathy for certain victims — in the second series, “Scaredy Cat,” it’s a young boy who’s seen his mother killed. I read a lot, and I’ll read thinking, ‘Would this make a film? Would this be a good character?’ I know a book is good when those questions stop hitting my head, when I just get involved in the story. With “Sleepyhead,” it was absolutely that — I just gave into the fact that this was a great story. It was afterward that I had to start thinking about how to put it on screen. In addition to being a novelist, Mark Billingham has also worked as an actor and has written for television. Did that make adapting his books easier? He was very amenable. His wife is a TV director, so he’d been involved in the world a lot. There were certain things in the characterization and story that he wanted to keep hold of, and nine times out of ten they were things that I wanted to keep hold of as well. The great thing was that he recognized that if you’re going to get a screenwriter involved, you have to be able to give them license to go away and discover it themselves, and he did do that. Then Stephen Hopkins came in to direct the show. He’d done “24” and “Californication,” and I’d worked with him before on a film called “The Reaping” that we’d done down in Louisiana. He’s a wonderful director, and he came and added that next element to it — this great pace and look and design. In an interview you did with the Telegraph, you mentioned that you wanted “Thorne” to be more like a U.S. series — what does that mean to you? The American TV I like, even though it’s on TV it has a cinematic quality to it, a real pace. One needs a budget to be able to do that, and sometimes in Britain we don’t get those budgets. We do a lot of our exposition and storytelling in a room [laughs] or on a bus or something. I also knew that I needed London to be one of the major characters in the piece, and that we had to be able to go out and shoot London in a way that people possibly hadn’t seen before. You’re used to the tourist idea of London, of red buses going across bridges. I wanted to show people what London was like. It’s an amazing and contradictory city, and I think Stephen got that. I see that in shows that are in New York, they use the city in a way I wanted to do with London. 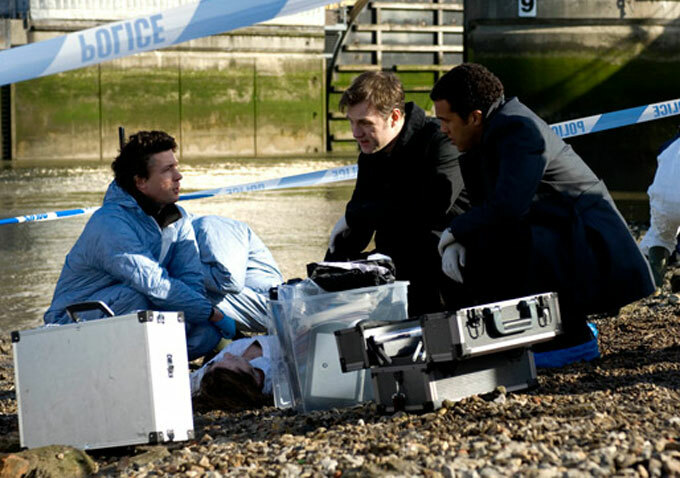 What sets Thorne apart from other detectives you’ve played? We’ve seen maverick cops a lot, but Thorne has an idea of himself and his work. He has this hole inside himself that he’s desperate to have filled, and it’s only filled by the work. He’s desperate for personal relationships but he can’t reach out and he can’t form them, because he’s been damaged by the work he does. The things he sees in his everyday life he can’t share with anybody and doesn’t want to share — he doesn’t want to taint anything good. And that’s a terrible place to be. It’s also, if you’re not careful, a massively egotistical place to be. You’ve talked about a third series of “Thorne” in the works — does it still seem a possiblity? You’re about to take on the role of a significant and already infamous character on “The Walking Dead” — were you a fan of the show before? I came to it as a fan — I’ve known Andrew Lincoln [who plays Rick Grimes] for a long time. He’s a good friend of mine. I love the show, and I’m so excited to be joining it — when I met with them for it, I couldn’t believe I was even in the room with those guys. There’s lots for me to find out — I haven’t started shooting yet. That’s when all the creative stuff will start and we’ll work on getting this guy out of the page and onto the screen. Like all the characters I’ve played, I’ve got this sort of Jackson Pollock-like idea at the moment which is all over the place, and I need to formulate it in some way. I’m really looking forward to it. Having worked in both television and film, and having directed a feature of your own, 2009’s “Don’t Worry About Me,” do you have a preference for one medium over the other? The big movies now seem less and less interested in story. They seem to be interested in franchise, really. 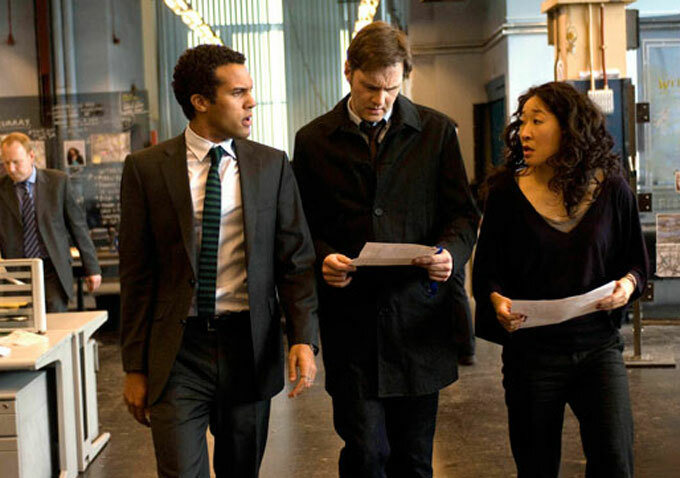 In the last five, six, seven years, television has become where great writing and great characters are. Audiences have started to fall in love with the box set and get involved in long stories. I applaud that — I think that’s wonderful. It shows that audiences are welcoming to long-term projects, that they want to be with characters and worlds for a long time. So it’s changed, but I enjoy working in television at the moment — and also theater. For any actor, I think the answer is that they like to do different mediums. The common denominator is that they want to tell great stories with good characters.